On November 28, major international tournament in Bratislava, Emma and Robert won the uninitiated consecutive Gold medals and bowl for "Whith patent leather shoes". 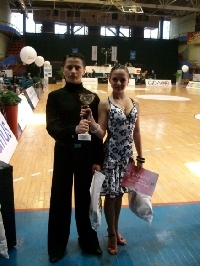 First in the cadets, Latin American dances. 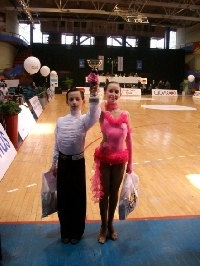 Without Bulgarian judge of the competition in Banja Luka in both groups - Junior I (up to 13 years) and Junior II (15 years) Our athletes won uninitiated first in the Latin American Dance!